I needed a page to put all those quiz/clique banners, so here it is! I'm Woof, God help me. Which "Hair" character are you? What teen magazine are you? I’m the tiny little penguin with the major attitude! I live in Austraila, New Zealand, and other sub-artic areas near by. I’m the smallest penguin of them all, but to be honest, I’m not really over-hunted by predators or humans. Currently humans aren’t harming me! What Beatles' song are you? 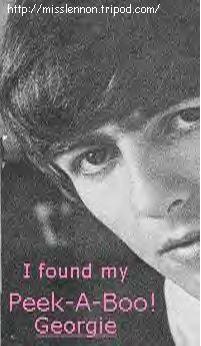 What time period are you a Beatle from? Take the Which Beatle Kid Are You? Quiz by indefinitley.